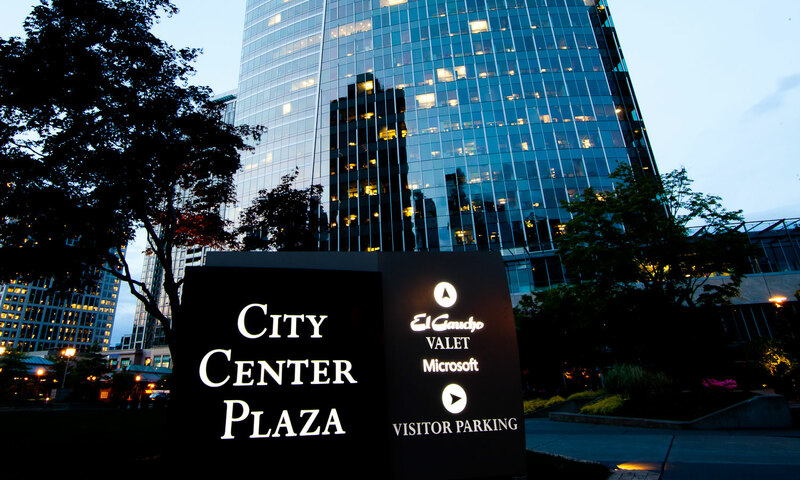 City Center Plaza is an unparalleled, newly developed, Class A+ high-rise located in the heart of Bellevue, Washington's prestigious Central Business District. Completed in 2009, the 26-story office building is one of the newest towers to be added to the Bellevue skyline. 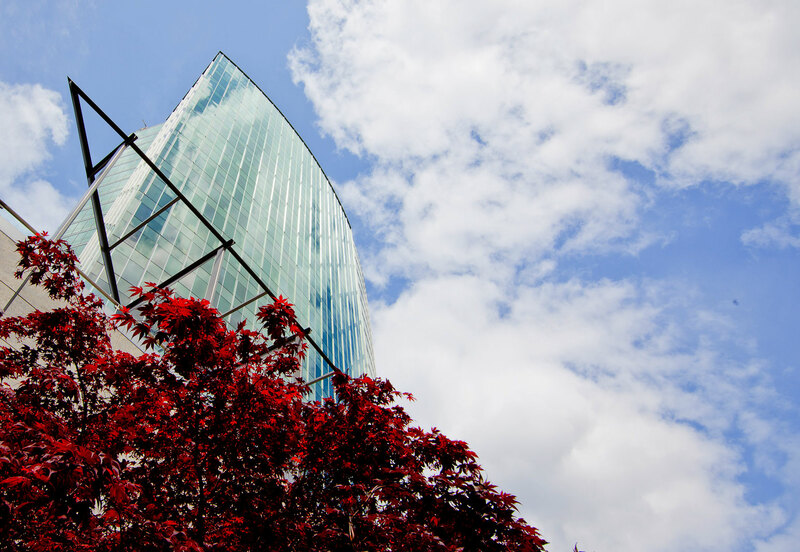 With a sweeping steel and glass curtain façade, City Center Plaza’s world-class design and unrivaled construction projects a sleek, modern allure created by world-renowned architect NBBJ. 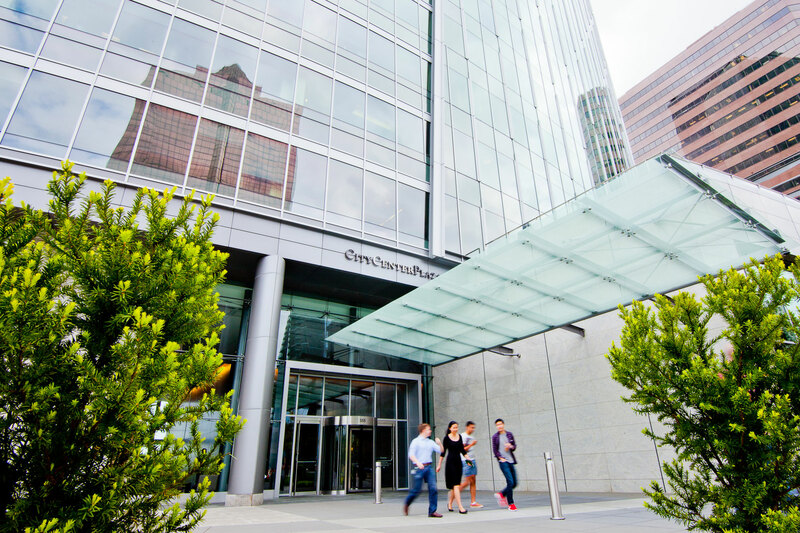 Reflecting a commitment to first-class quality, City Center Plaza’s unrivaled construction, LEED® Gold Certification and innovative design has established the Property as one of the most advanced in the nation. With superior elegance, the tower’s interior spaces are enhanced by spectacular floor-to-ceiling panoramic views of Washington's iconic Puget Sound. Featuring state-of-the-art amenities, City Center Plaza offers an expansive 2.6-acre outdoor plaza, meeting areas on every floor, scenic decks, and El Gaucho - one of the foremost steakhouses in the region. 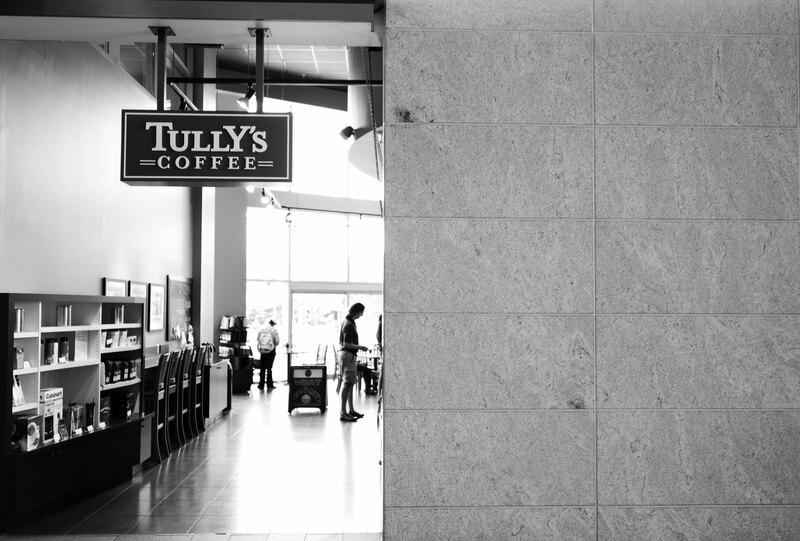 Centrally located, City Center Plaza is adjacent to the Bellevue Transit Center and offers exceptional freeway access.